More than one in 10 young children suffer from this condition, which kills 1 million of them each year. 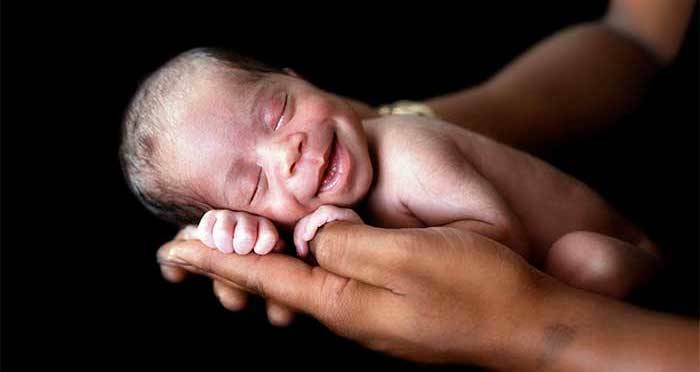 Each year, approximately 15 million babies are born prematurely worldwide. That’s more than one in 10. The leading global cause of death among children under five, preterm birth (gestation shorter than 37 weeks) was responsible for the loss of 1 million young lives as recently as 2015. And for Stanford University professor of bioengineering and applied physics Stephen Quake, this issue is a personal one. His daughter was born almost a month premature — but she’s been lucky enough to avoid becoming a statistic. And that’s exactly what he did. As reported in a paper published on June 7, 2018 in the journal Science, a team of researchers led in part by Quake described the new blood test they developed for pregnant women that detects with 75-80 percent accuracy whether their pregnancies will end in premature birth. “Currently, we understand very little about preterm delivery,” Mira Moufarrej, one of the study’s lead authors and a bioengineering Ph.D. student at Standford, told All That’s Interesting. Until now, the best tests for predicting premature birth have only worked in high-risk women (including those pregnant with multiples and those who’ve had other issues with their uterus or cervix). And even those tests are only right about 20 percent of the time. Thus most pregnant women don’t know if they’ll go into early labor because there’s no reliable way to predict it. In order to create their blood test, the researchers expanded on previous methods in which researchers were able to observe changes in a pregnant woman and her fetus in a noninvasive way by measuring cell-free RNA (the molecules responsible for helping to build proteins in the body) taken from blood samples. The Stanford researchers have now used a similar method to develop a blood test that estimates the risk of preterm birth (as well as establishes a likely birth date more cost-effectively than current methods). To do so, the scientists took blood samples from 38 pregnant American women who were at risk for premature delivery (they had early contractions or had given birth to a preterm baby before). 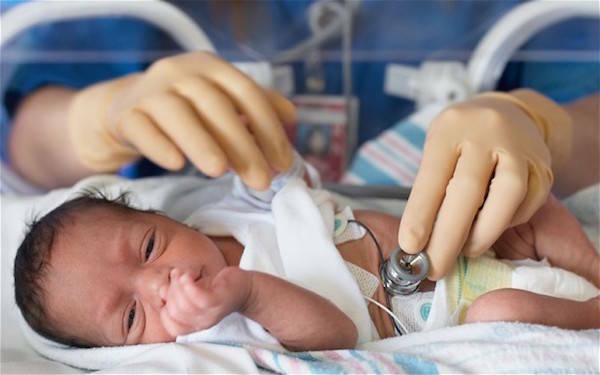 In the cases of six of the eight of these women who did ultimately deliver preterm, the researchers were able to correctly predict that preterm delivery. In analyzing the RNA in the blood samples, the scientists had found that seven different genes could predict which of the pregnancies would end with a preterm birth. Now that these markers for preterm pregnancies are apparent, the researchers hope that this ability to make solid predictions will allow doctors to better prepare for a preterm delivery (as opposed to being blindsided by a surprise delivery) and thus make it a safer one. Furthermore, now that the genetic markers of preterm pregnancy are apparent, the researchers hope to be able to develop drugs that can target the root cause and possibly delay premature births. The researchers also found something else in the new blood test: the ability to estimate the mother’s due date just as reliably and less expensively than an ultrasound. As a pregnancy progresses, ultrasounds give less reliable information. “In the case where women come into the clinic in their second or third trimester, where ultrasound’s accuracy significantly deteriorates, we can imagine this test as a complementary test,” said Moufarrej of her team’s new method. The new blood test “gives a super-high resolution view of pregnant and human development that no one’s ever seen before,” said Thuy Ngo, another author of the study. In some regions, like much of the developing world, ultrasounds aren’t a viable option to begin with. They require trained technicians and expensive equipment. “In the case where a woman does not have access to ultrasound like in low-resource settings, this test could be a comparable substitute,” Moufarrej explained. That’s because the new test is easy and inexpensive enough to be used in places that don’t have access to ultrasound technology. And because the same blood test can be used to predict risk of preterm delivery, it actually provides more information than the ultrasound. Furthermore, because the new test only requires that a little blood be drawn from the mother, it’s quite safe. “We believe it poses very minimal risk to the fetus, and it certainly poses far less risk than invasive techniques like amniocentesis,” said Moufarrej. But before this new test can be made available for widespread use, the scientists need to validate it in larger and more diverse cohorts. Nevertheless, if things go well, the test could revolutionize prenatal care. Next, read up on the infamous horrors of the Stanford prison experiment. Then, discover the fascinating history of midwives.